When I first saw this technique, its name sounded mysterious as well as the technique itself. 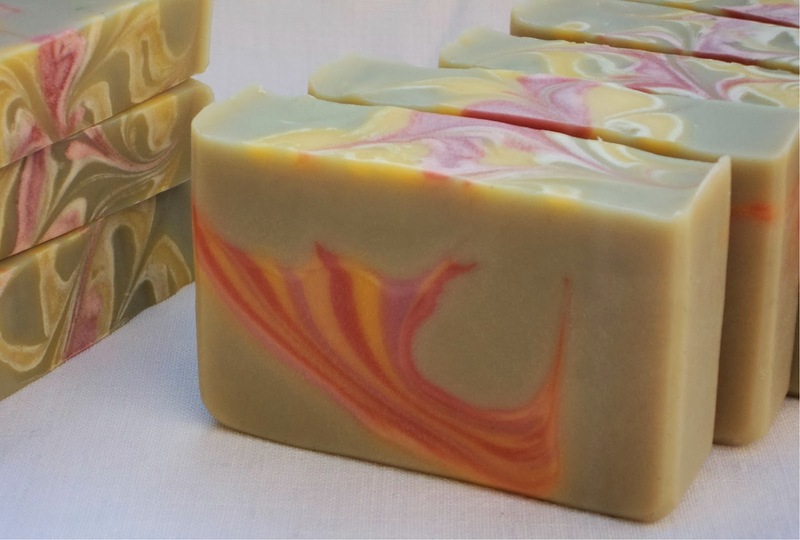 The original soap of Vinvela Ebony, who created this design, looks fabulous. I had no idea how to do it and really wanted to learn. Thanks to Amy Warden, for organizing these soaping sessions and another great choice of technique! I started thinking about this soap in September. We were coming back from my cousin´s wedding, and went for a walk. The weather was nice and first signs of autumn around us. Beautiful colours! 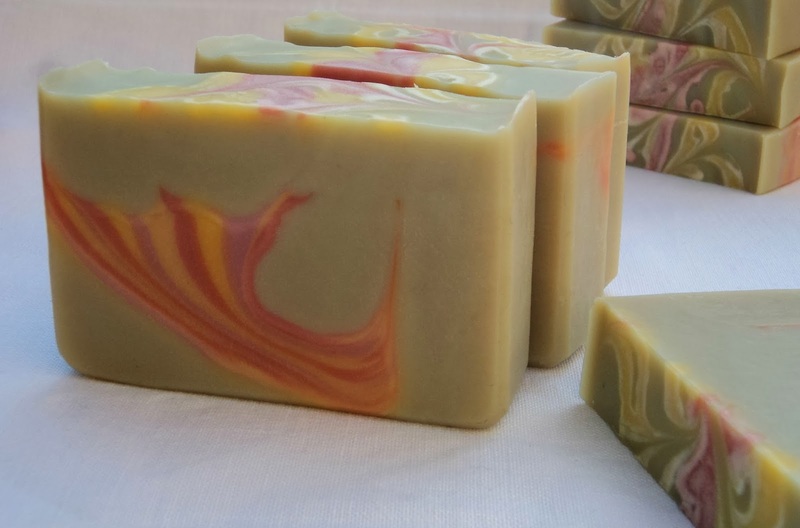 I decided to make a soap inspired by that view of the landscape with late afternoon sun and sky. I am really pleased with the result, the colours came out nice. The green is mainly green clay with just a pinch of green oxide, other than that I used mineral pigments. 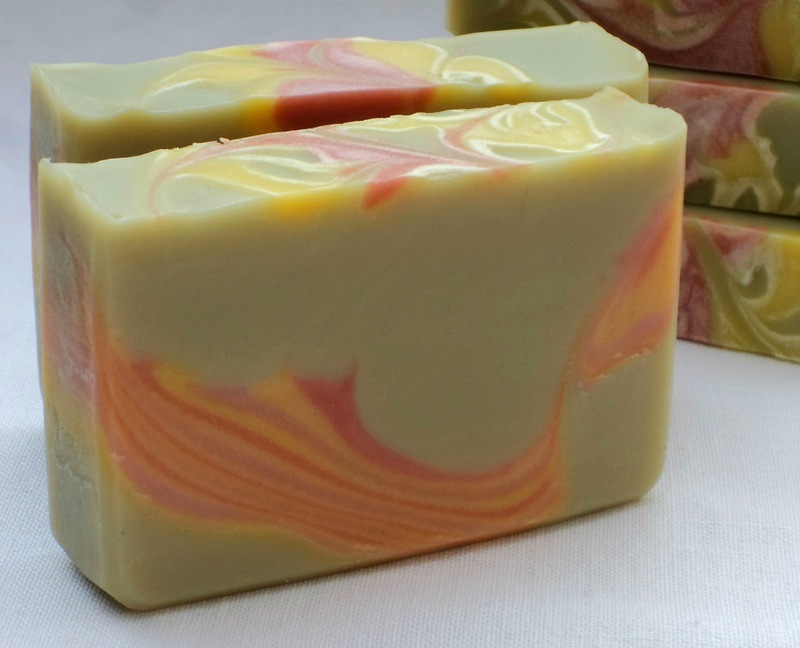 I made the swirl with four different shades of yellow-orange-pink. On the top of the soap there is some soda ash that developped just around the ornaments, and created an interesting effect I think. Scented with a pleasant harmonizing blend of Honey, Orange and Rosemary, a little light, a little earthy. Soap with buttermilk, silk and green clay. I will definitely use this technique again, I like the effect of tiny stripes and the wild swirl shape. Wow, Barbora! If you ever figure out how to get the ash to form around the edges of your swirls, please let me know! That was a really nice surprise!! Great colors - love fall!!! Thank you, Amy! I get ash a lot as I use a lot of hard fats and soap cool, but on some soaps it looks nice I think. I absolutely LOVE these colors! Beautiful soap! Very beautiful and the colors are perfect for fall. 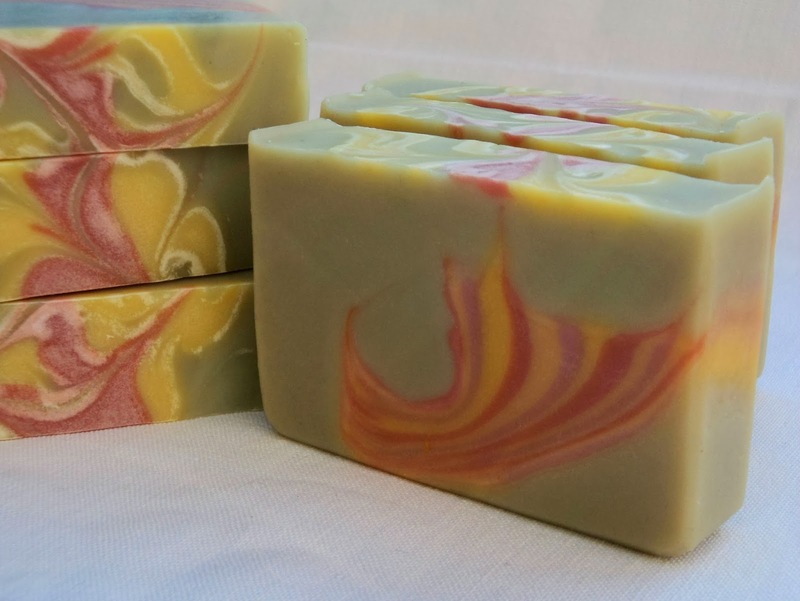 I have not been sure if I like the dandelion zebra swirl, but this soap makes me think if I should also try this technique. Thank you Kirppu! Me too, at first I thought I wouldn´t like this technique much, I prefer more decent design - but after trying and seeing the result I love it. It was the same with Peacock swirl for me. Wow...this is a really beautiful soap...in all ways!